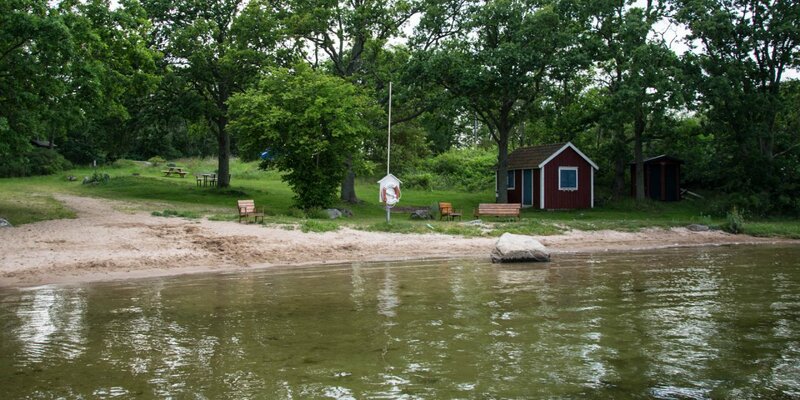 Slätthammars Badplats is a natural bathing beach located about 20 kilometers southeast of Ronneby in a bay on the south side of the island Almö. 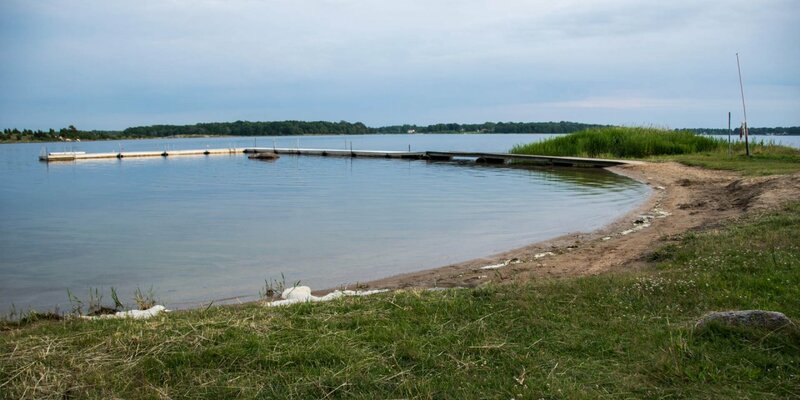 The island Almö on the eastern edge of the archipelago of Karlskrona and the bathing place Slätthammar can be easily reached by car as the island is connected by a short bridge to a narrow headland. 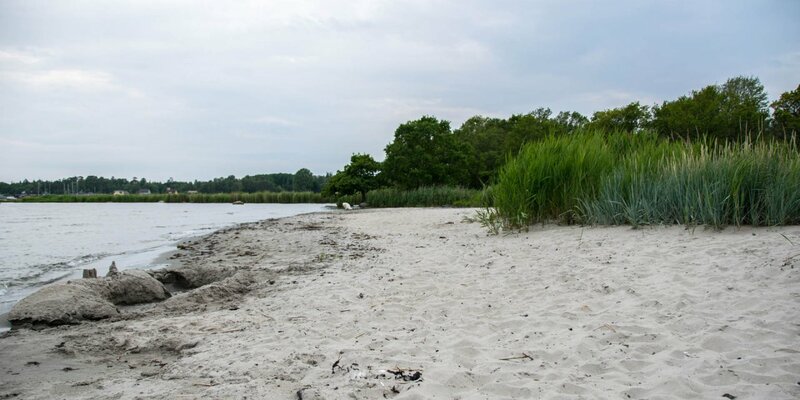 The bathing place consists of a short, approximately 35 meters long sandy beach and a large open lawn with some juniper bushes. 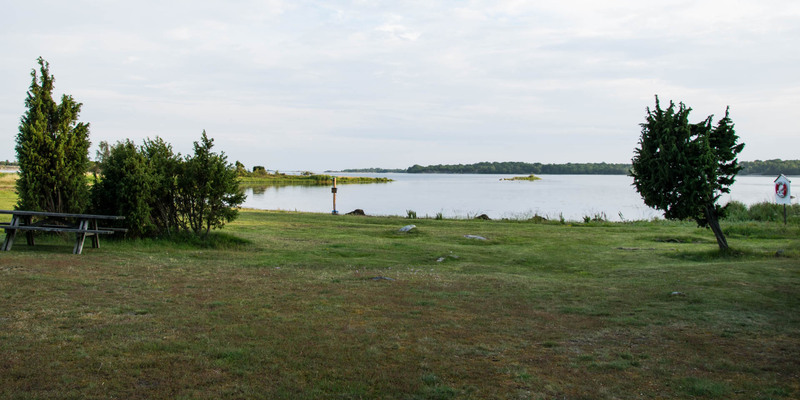 It is located in a quiet location overlooking the neighboring island of Vagnö and in the immediate vicinity of the nature reserve Jordö. As more or less natural bathing place the equipment of the Slätthammars Badplats consists only of picnic tables and the obligatory rescue equipment.